To get the kingdom of Genovia... There's just a little hitch. 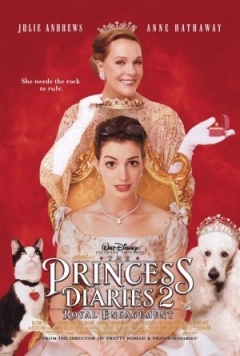 Anne Hathaway, Chris Pine, Julie Andrews, John Rhys-Davies, Caroline Goodall, Hector Elizondo, Larry Miller, Raven-Symoné, Sean O'Bryan, Heather Matarazzo, Callum Blue, Kim Thomson, Kathleen Marshall, Tom Poston, Joel McCrary. "...Leuke film , maar niet zo leuk als de eerste:Y..."